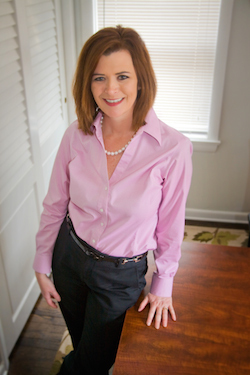 Consider It Done, LLC, based in Harrisburg, Pennsylvania and founded by Lori Reese, is a fully insured organizing firm, specializing in Life Transitions. We help improve the lives of our clients by providing residential organizing services such as downsizing support, decluttering and organizing, household management and personal assistant support. During Ms. Reese’s 20+ year career, she has helped top level executives relocate and establish new offices, assisted executives in daily business operations, and improved productivity by creating and maintaining organized offices. In her previous career as a certified Human Resources Professional, Ms. Reese developed policies and procedures and was the person employees entrusted with their personal medical or family situations. She assisted hundreds of employees resolve medical claims, take medical leaves of absence, and apply for disability benefits. Ms. Reese is a member of the National Association of Productivity and Organizing Professionals (NAPO), where she also serves as a national committee chair. She has earned NAPO specialist certificates in Life Transitions and Residential Organizing. She is a member of the Rotary Club of Harrisburg, The Pennsylvania Association of Notaries, and The Harrisburg Symphony Society. She is a volunteer for Hospice of Central Pennsylvania and previously served six years on The Board of Trustees for the Central Pennsylvania Chapter of The Leukemia & Lymphoma Society. Consider It Done was built on the foundation of helping people. We are dedicated to helping you stay focused, get things done and spend more time enjoying life. We look forward to the opportunity to serve you and can be trusted to handle your needs with care, discretion and efficiency. For more information, contact us at info@consideritdonepa.com or by phone at 717.991.9036.